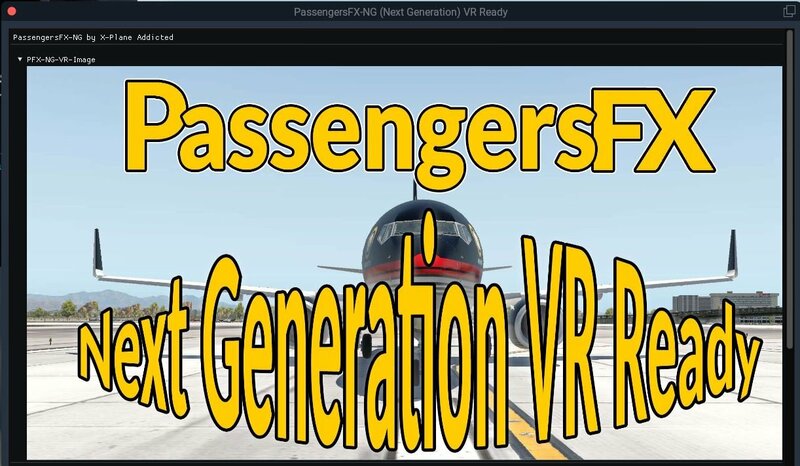 PassengersFX - NG (Next Generation) VR Ready British Edition “Adding realistic crew and passengers to your aircraft” ..
PassengersFX is add-on for X-Plane which adds many sounds and announcements to your aircraft to immerse you into an airline environment. Detailed operations manual with images and instructions. Over 35 high-definition sounds, Including ambience, chatter, music, safety video, announcements and more. 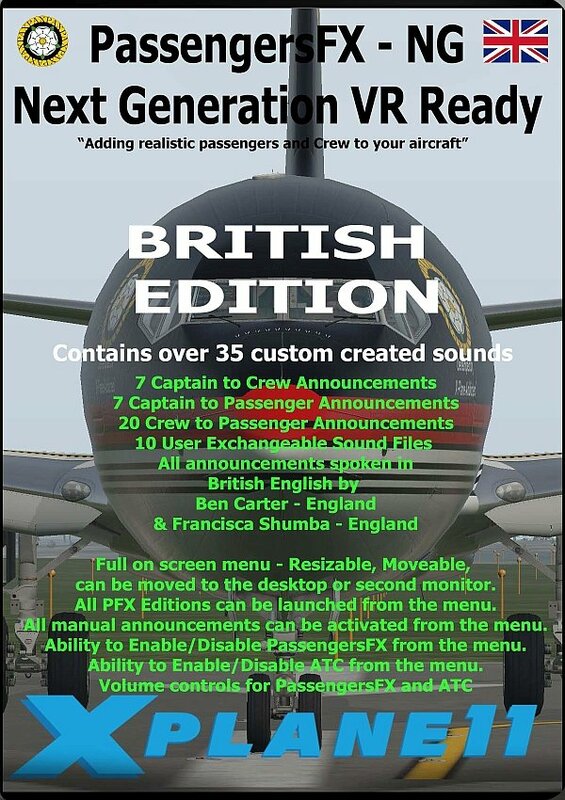 Dynamic sound levels dependent on your position in the aircraft, move from the cockpit to the cabin and notice everything getting louder. Environment-dependent chatter hear your passengers quiet down when you’ve reached cruising altitude. 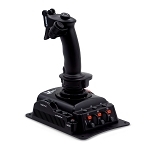 Compatible with all aircraft with two or more engines. Your passengers are ready to go with you, regardless of the airline. Detached from the screen and placed on the Desktop or moved to a second screen. Closed and Announcements activated from the normal FWL drop down or by keyboard assignments. 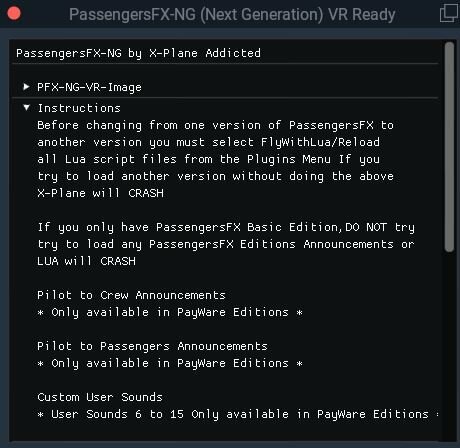 All PassengersFX Editions can be launched from the menu. All manual announcements can be activated from the menu. Ability to Enable/Disable PassengersFX from the menu. Ability to Enable /Disable ATC from the menu. Volume controls for PFX and ATC. From the menu the user can. Launch any PassengersFX Edition, lets the user select any version of PassengersFX the have installed. Manually Triggered Announcements - Play any announcement from the following categories. 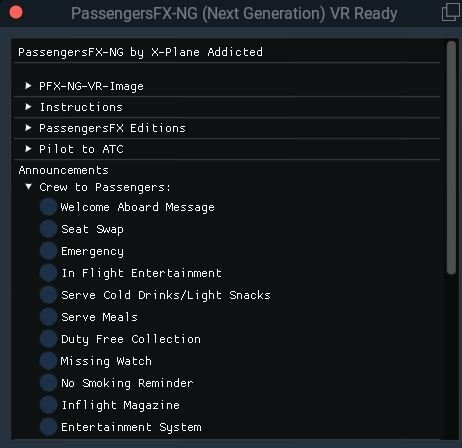 Slider Controls for PassengersFx and ATC volumes.